During the busy season, time is money when tackling landscaping jobs. But the quality of work must also remain a top priority. 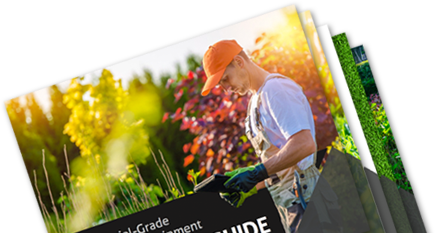 To work efficiently and deliver exceptional results, lawn and landscape care crews need both skill and the right equipment. At TURF TEQ, we design our professional-grade landscaping machines to help landscaping pros work more productively and precisely. How does our commercial-grade bed edger help you save time and money? We’re glad you asked! 1. It enables you to navigate harsh terrain with ease. 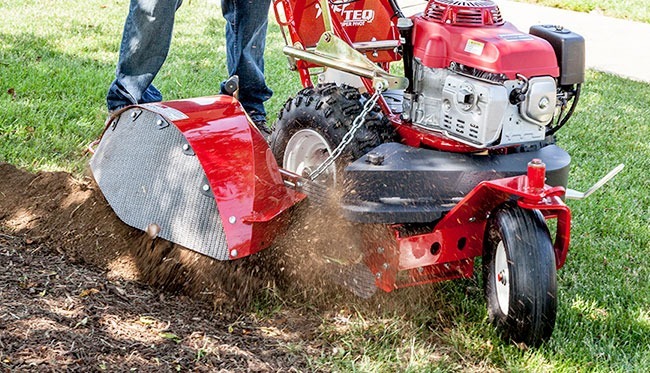 The Power Edger’s commercial-grade 13 horsepower engine gives it some impressive get-up-and-go, and its variable speed, hydrostatic transmission with locking differential makes short work of hills. 2. It lets your team work smarter not harder. We created it with user-friendliness in mind. All controls are within easy reach from the operator’s position. And with its walk-forward, self-propelled design, it doesn’t require as much manual effort as other machines on the market. 3. It’s built to impress. With its tight turning radius, nine blade profiles, and adjustable blade depth and angle, our Power Edger performs with precision and creates beautiful results your customers will love. 4. It can switch jobs in a few minutes, with multi-use technology. When it’s time to switch from one task to the next, all you need to do is change attachments on your machine. Your Power Edger can become a Power Rake or Power Broom or Brush Cutter in a matter of just a few minutes. This can give you year-round functionality from a single engine and transmission unit – maximizing your equipment investment. Just like all our other TURF TEQ multi-use landscaping machines, our Power Edger is made of the highest quality materials, manufactured in the USA, and comes with a comprehensive one-year warranty. Contact us to learn more about how our professional-grade landscaping machines can boost your business’s productivity and profitability all year long.